Arsenal’s impressive 3-0 victory in the last matchday over Vorskla ensured they would finish their group as winners and would remain in this position irrespective of their result against Qarabag. In the previous game, Unai Emery fielded a very young and inexperienced lineup, although they were well equipped to see off Vorskla. This time around against Qarabag, expect Emery to do the same and give many of his key players a well-deserved rest. The rest to key players will also be a necessity for Emery as Arsenal approach a grueling fixture schedule in the coming days as well as the EFL Cup clash with Tottenham to look forward to. However, Arsenal will be aiming to close their group with a win to equal the all-time record for a clean sheet with one against Qarabag. Qarabag are out of this season’s Europa League after a disappointing run of games. They did see off Vorskla when both sides met on matchday four, but that wasn’t enough for the defending Azerbaijan Champions to progress. However, the presence of Arsenal and Sporting Lisbon made it difficult for both Vorskla and Qarabag to stand a chance. The side from Azerbaijan, however, will look to get a result for their travelling fans and try to finish as strong as possible, but a trip to the Emirates is always a difficult one for any team. Additionally, their form in the last month up until now has been good, and this could be the base for Qarabag to get some result against Unai Emery’s charges. Unai Emery has plenty of players who can take up the field in midfield and attacking position, as was the case against Vorskla the last time out. However, the manager’s major concern remains in defensive areas, where Arsenal currently have something of a crisis. Sokratis and Mustafi are suspended for the Southampton clash in the Premier League, which could prompt Emery to give one of them a run in. Additionally, there is the need to get Laurent Koscielny up to speed, and the Qarabag game could be the perfect platform to do that. Against Southampton this weekend, Emery will look to start Monreal and Koscielny in central defence, as Rob Holding is injured and there’s no other alternative in sight for Emery in place of his first choice of center backs. Aaron Ramsey and Mesut Ozil are reportedly still out of the picture, and its highly unlikely the German will be risked even if he is available. Emery would be looking to preserve Guendouzi as much as possible. That could give Mohamed Elneny a chance to start this game against Qarabag alongside the Frenchman. Emile Smith-Rowe, Joe Willock and Eddie Nketiah have so far impressed, and could begin in attacking positions, as could Alex Iwobi. Qarabag have a few concerns heading into this final group stage game against Arsenal. Innocent Emeghara is their main injury trouble, as the player is definitely out of the game against the Gunners and is unlikely to play any part until the new year. Replacing him would be Araz Abdullayev, who has been used in three of Qarabag’s five Europa League games so far. Joining Abdullayev would be the trio of Mahir Madatov, Filip Ozobic, and Abdellah Zoubir, who have been in good form heading into this game. Elsewhere in midfield, Qarayev and Michel could be in line for a start. Qarabag will field a standard four-man defence supporting goalkeeper Vagner. Medvedev will start at right back, while Sadiqov and Rzeznichzak will be Qarabag’s central defenders, and at left back Guerrier will take his place. If Arsenal add a fifth straight clean sheet, they would equal the all-time Europa League record of five to join Napoli and Red Bull Salzburg. Qarabag have so far lost all of their 5 games against English sides conceding 17 goals and scoring once against Tottenham from the penalty spot. Qarabag have also lost six of their last seven games in the Europa League. Arsenal have used 26 different players in the UEFA Europa League this season in the opening five matchdays – more than any other team. Arsenal midfielder Emile Smith-Rowe has scored in two of his last three appearances in the UEFA Europe League. Arsenal’s captain makes his much-awaited return to the playing field for the first time since April when he ruptured his achilles playing against Atletico Madrid in the Europa League semi-finals. The Frenchman’s recovery has come on time, especially with a defensive crisis at hand. 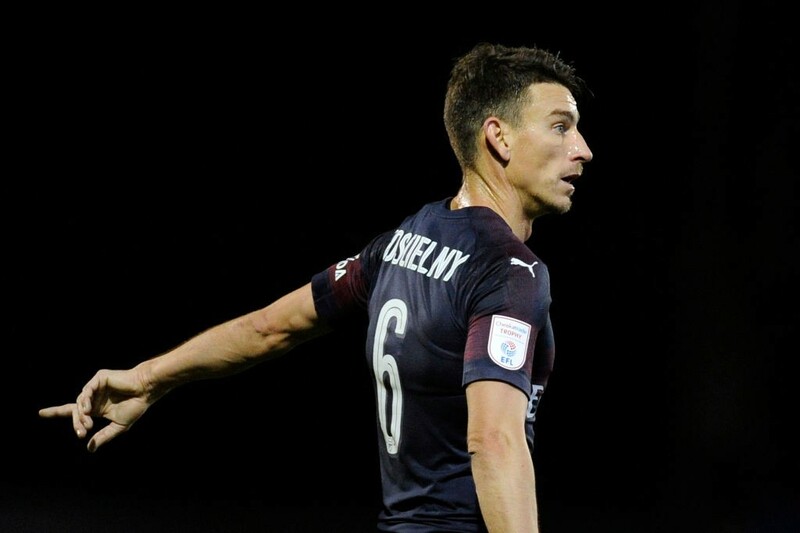 With Rob Holing also injured for the long-term, games like the one against Qarabag will come as an excellent opportunity for Koscielny to impress manager Emery. The season is long, and with the festive season coming up, Emery would need the best from Koscielny, and against Qarabag all eyes will be on the Arsenal captain. Arsenal, right from the beginning of the competition, have been considered one of the hot favourites to win it in May, 2019. The Gunners have shown precisely that kind of form heading into the last match day of the group stages. The Gunners have won four, drawn the other game while scoring 11-goals and conceding only once. There seems to be no chance for Qarabag to kill that kind of form. Arsenal, on the other hand, fielded a young and inexperienced team during the last matchday and yet got out unscathed with a 3-0 scoreline. Expect a similar result from the Gunners against Qarabag and bet on Arsenal to collect a fifth straight clean sheet.